1) or Powel – Sa. an escutcheon betw. three roses ar. Crest—A demi savage holding a club ppr. 2) (Penkelly, co. Carmarthen). Or, two chev. betw. three lions’ gambs erased gu. 3) (Nanteos, co. Cardigan; descended from Sir Thomas Powell, a learned judge temp. William III.). Ar. a cross flory engr. sa. betw. four Cornish choughs ppr. on a chief az. a boar’s head couped ar. tusked or, langued gu. Crest—A talbot’s head couped ppr. Motto—Inter hastas et hostes. 4) (co. Brecknock). Az. a stag pass. ar. attired or, betw. the attires a regal crown ppr. 5) (cos. Chester and Hertford). Sa. three roses ar. seeded or. 6) (Llwydarth, Lanharen, and Maesteg, co. Glamorgan). Sa. a chev. betw. three fleurs-de-lis ar. Crest—A boar’a head cabossed. 7) (Penkelly, co. Hereford). Or, a chev. betw. three lions’ gambs couped or. Crest—A lion’s gamb erased or. 8) (St. Alban’s, co. Herts). Sa. three roses ar. slipped vert. Crest—Out of a ducal coronet or, a demi griffin sa. beaked and legged gold. 9) (Horton Old Hall, Bradford, co. York). Sa. three escocheons ar. each charged with a boar’s head erased of the field, a bordure or. Crest—A lion ramp. sa. sa. gorged with a double chain or, therefrom pendent a pheon ar. and resting the sinister forepaw upon a shield gold, charged with an eagle’a head erased az. Motto—Omne bonum, Dei donum. 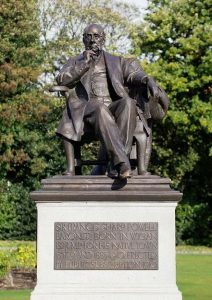 10) (Sir John Powell, Judge of the King’s Bench temp. William III.). Per pale az. and gu. three lioncels ramp. ar. 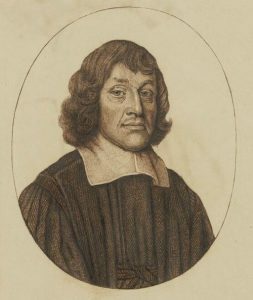 11) (Fellow of Jesus College, d. 6 Feb. 1685). Ar. a lion ramp. sa. crowned or. 12) (Boughton Monchensy, co. Kent, Ednop and Newton, co. Salop, and Ewhurst, co. Sussex; descended from Etheltstan Glodbydd, Prince of Ferlys; of this family was Richard Powell, of Ednor, author of the “Pentarchla,” a short history of the royal tribes of Wales and their descendants, written about the year 1623; Sir Nathaniel of Ewhurst and Boughton-Monchensy, son of Meredith Powell, of Brampton Balf, co. Somerset, and granddon of John-ap-Howell, of Ednop, co. Salop, was created a bart. in 1661). Gu. a lion ramp. reguard. or, quartering, Ar. three boars’ heads couped sa. 13) (Sandford, co. Oxford). Or, a lion ramp. sa. a fess gu. 14) (co. Oxford). Or, on two chev. betw. three wells az. as many lions’ gambs erased ar. 15) (Park, co. Salop). Per fess or and ar. a lion ramp. gu. 16) (Worthen and All-Stretton, co. Salop). Ar. three boars’ heads couped sa. 17) (Parkhall, co. Salop). Az. on a chief or, a lion ramp. issuant gu. 18) (Bruton, co. Somerset; granted 1584). Per pale gu. and az. crusily fitchee or, a lion ramp. of the last. Crest—A lion pass. resting the dexter paw on a broken tilting spear ar. 19) (Pengethley, co. Hereford, bart., extinct 1653; Sir Edward Powell was created a bart. 1622, but the title expired. See Hinson). Or, a chev. betw. three lions’ gambs erased gu. 20) (Fulham, co. Middlesex, and St. James, Clerkenwell; Richard Powell, Esq., of the latter place, Visit. Middlesex, 1663, son of Edward Powell, Esq., of the former place, descended from Powell, of Pengethley, co. Hereford). Same Arms. Crest—A lion’s gamb erased gu. 21) (Hinton, co. Hereford). Ar. a chev. betw. three roses gu. seeded or, barbed vert. Crest—Out of a ducal coronet or, a demi griffin sa. beaked and legged gold. 22) (Castle Madoc, co. Brecknock; descended through Llewellyn-AP-EINION Sais, brother of the renowned David Gan, from Bleddyn-Ap-Maenyrch, Lord of Brecon, temp. William II. ; Hugh Price, Esq., of Castle Madoc, High Sheriff, of the co. in 1815, was great-grandson of Roger Price, Esq., of Maes-yr-onn, by Penelope, his wife, dau. of Нugh Howell Powell, Esq., of Castle Madoc, who d. 1749). Sa. a chev. betw. three spearheads or, embrued gu. 23) (Stanage Park, co. Radnor; descended through Walter Powell, of Bucknell, co. Salop, living temp. Queen Elizabeth, from Rhys-Ap-Tudor, King of South Wales). Quarterly, 1st and 4th, gu. a lion ramp. or, a bordure engr. of the last, a mullet within an annulet gold for diff. ; 2nd and 3rd, gu. a bend betw. aix. lions’ heads erased ar., for Skull. 24) (Brandlesome Hall, co. Lancaster; Henry Folliott POWELL, Esq., of Brandlesome Hall, son of Samuel Powell, Esq., of Hammerton Hall, co. York, and Brandlesome Hall, co. Lancaster, and great-great-grandson of Samuel Powell, Esq., of Stanage Park, by the Hon. Elizabeth Folliott, his wife, sister and co-heir of Henry, Lord Folliott, became representative of the ancient family of Powell, of Stanage). Quarterly, 1st and 4th, gu. a lion ramp. within a bordure engr. or, for Powell; 2nd, gu. a bend betw. six lions’ heads erased ar., for Skull; 3rd, ar. a lion ramp. double queued purp. ducally crowned or, for Folliott. Crest—A lion’s head erased ar. gorged with a collar flory countcrflory gu. Motto—Anima in amicis una. 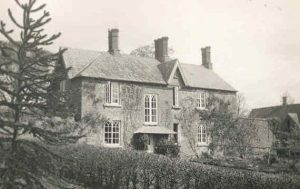 25) (Hurdcott House, co. Wilts; a branch of Penkelly, Co. Hereford, which settled in co. Wilts temp. Charles I.; Sir Alexander Powell of New Sarum, knighted in 1702, Recorder for that city, was grandson of John Powell, Esq., of New Sarum, was father of Francis Powell, Esq., of Hurdcott House, whose son, Alexander Powell, Esq., of Hurdcott House, was M.P. for the borough of Downton). Or, a chev. betw. three lions’ gambs erect and erased gu. Crest—A lion’s gamb, as in the arms. Motto—Spes mea, Christus crit. 26) (Filworth, co. Surrey). Ar. a lion ramp. sa. a fess engr. gu. 27) (Horsley, co. Denbigh, bart., extinct temp. William III. ; descended through Iorwerth Vychan, fourth son of Iorwerth ap David, from Sandde Hardd, Lord of Burton). Sa. an escutcheon betw. three roses ar. 28) (co. Surrey). Ar. a chev. gu. betw. three garbs vert. Crest—A lion ramp. ar. holding a garb vert. 29) (Newicke, co. Sussex). Per fess or and ar. a lion ramp. guard. gu. Crest—A lion pass. or, holding in the dexter paw the broken shaft of a spear erect ppr. 30) (Wales). Per fess ar. and sa. a lion ramp. counterchanged. 31) Per fess or and ar. a lion ramp. gu. Crest—Two broken spears in saltire ppr. (the dexter the top, and the sinister the bottom of the spear, resting on the wreath), the whole within two branches of laurel disposed orleways vert. 32) Az. a lion ramp. guard. ar. Crest—A boar pass, sa. collared and lined or. 33) Ar. three boars’ heads bendways couped sa. 34) Ar. a lion ramp. sa. crowned gu. 35) Or, a lion ramp. gu. a canton of the last. 36) Ar. a cross botonnee engr. az. betw. four birds gu. on a canton sa. a chev. betw. three spearheads of the first. 37) (Jeffreys-Powell, of Broynllis, co. Brecon; exemplified to David Jeffreys upon his assuming, by royal licence, the additional surname of Powell). Quarterly, 1st and 4th, ar. on a chev. gu. betw. in chief two garbs vert and in base a boar’s head erased sa. three pallets of the field, for Powell; 2nd and 3rd, sa. a chev. embattled chequy or and az. betw. in chief two spearheads imbrued ppr. and in base a garb of the second, for Jeffreys. Crests—1st, Powell: A lion ramp. ar. holding betw. the paws a garb vert and supporting with the dexter hind paw an escocheon sa. charged with a boar’a head also ar. ; 2nd, Jeffreys: Upon the stump of a tree betw. two palm branches ppr. a heron ar. holding in the beak a spearhead ppr. Motto—Labore et scientiâ. 38) (Banlahan, co. Cork; confirmed to Henry Claringbold Powell, Esq., J.P., Colonel in the Army, second, but eldest surviving, son of the late Edward Powell, Esq., Major in the Army; traditionally descended from the ancient Welsh family of Powell, or AP Howell, of Penkelly). Or, two chevronels betw. three lions’ gambs erased gu. in the centre chief point a trefoil slipped vert. Crest—Out of a ducal coronet or, a demi griffin vert, charged on the shoulder with a trefoil slipped gold. Motto—Edrych i fynw. 39) (Sweetman-Powell; exemplified to John Michael Sweetman, Esq., son and heir of the late Michael James Sweetman, Esq., of Lamberton Park, Queen’s co., and of Mary Margaret, his wife, only child of Michael Powell, Esq., of Fitzwilliam Square, Dublin, on his assuming, by royal licence, 1874, the additional surname and arms of Powell, in compliance with the will of his maternal grandfather). Quarterly, 1st and 4th, ar. on a chev. gu. betw. three garbs vert as many cross crosslets or, for Powell; 2nd and 3rd, per pale gu. and chequy az. and ar. on the dexter an eagle displ. dimidiated or, in the dexter chief point a mullet of the last, for Sweetman. Crests—1st: A lion ramp. ar. charged with a cross crosslet gu. and holding betw. the paws a garb vert, for Powell; 2nd: Out of an antique crown or, a griffin’s head gu. charged with a mullet gold, for Sweetman. Motto—Vi et virtute; and over the second crest—Spera in Deo. 40) (George Powell, Esq., of Rock Dale, Kent). Per fesse nebulee or and gu. a lion ramp. betw. three escocheons each charged with a sparrow-hawk close, all counterchanged. Crest—Two arrows in saltire ppr. thereon a sparrow hawk close ar. holding in the beak a sprig of oak slipped and fructed vert. 41) (or Pouuel-Sir Hywel, ap Hywel) (documented in Wales) – Paly or and azure, on a bend gules three mullets argent. 42) (of Breconshire) (documented in Wales) – Per fesse, argent and sable, a lion rampant, counterchanged. 43) (of Perth-hir, Monmouthshire) (documented in Wales) – Per pale azure and gules, three lions rampant argent. 44) (of Rhiwabon, Denbighshire) (documented in Wales) – Azure, a lion statant guardant, or. The last name Powell is a baptismal surname with two sources. First, it derives from the Welsh Ap Hoel or Ap Howell, meaning “the son of Hoel”, an Anglicized version of the ancient personal (first) name Howel in Wales, meaning eminent, deriving from the Old Welsh name Houel (an old male given name that became popular because it was borne by a Welsh King in the 900s AD). Second, “the son of Poul, or Powl or Powel”, i.e. Paul, an ancient biblical personal (first) name. In Latin, the word paulus means small. Paul the Apostle, or Saint Paul, was born as Saul of Tarsus who taught the Gospel of Christ during the first century, founding numerous churches throughout Asia Minor and Europe. Although this surname has a reputation for being entirely Welsh, author Charles Wareing Charles Bardsley, in his 1901 book, A Dictionary of English and Welsh Surnames, claims this is a great fallacy and “probably half of our Powells are of pure English descent”. In Ireland, it is sometimes a surname adopted as an equivalent of the Galiec name Mac Giolla Phoil, “the son of the servant of St. Paul”, related to the last name Guilfoyle. The name was first found in Breconshire, a county in southern Wales, which took its name from the old Welsh Kingdom of Brycheiniog (existed from 400-900 AD). Patronymica Britannica, a book authored by Mark Antony Lower, asserts the progenitor of this family was Philip ap Howell, whose pedigree is traced all the way back to Edwin ap Grono, Lord of Tegaingl, Founer of the 13th Noble Tribe of North Wales and Powys, who lived from 1017-1073 AD. However, other sources claim the family descends from King Hywel Dda “The Good” Ap Cavell (850-950 AD),the son on Cadel lap Rhodri, and grandson of Rhodri the Great (also known as Rhodri ap Merfyn, succeeded his father Merfyn Frych as King of Gwynedd in 1844 AD). Common spelling variants or names with similar etymologies include Powel, Poul, Powle, and Puel (French). The last name Powell ranks 91st in popularity in the United Status as of the 2000 Census. The name ranks particularly high in the following five states: North Carolina, Virginia, Alabama, Kentucky, and Delaware. The surname Isaac frequency/commonness ranks as follows in the British Isles: England (88th), Scotland (515th), Wales (23rd), Ireland (668th) and Northern Ireland (795th). In England, it ranks highest in county Herefordshire. In Scotland, it rankest highest in Argyll. In Wales, the Powell name ranks highest in Radnorshire and Brecknockshire. In Ireland, it ranks highest in Tipperary. In Northern Ireland, it ranks highest in Armagh. The name is also present throughout the remainder English speaking world: Canada (346th), New Zealand (181st), Australia (144th), and South Africa (740th). The 1890 book Homes of Family Names by H.B. Guppy, states the following in regard to this surname: “Its great home is in Herefordshire, but it is also very frequent in Monmouthshire, Shropshire, and South Wales. Thence it advances across England, reaching the counties of Sussex and Norfolk, and establishing itself also in Dorset and Berks. Powell is the contraction of Ap-Howel, the son of Howel or Howell, a common name in Wales. It is, in truth, remarkable that the names of Howell and Howells have, in a general sense, the same distribution as Powell. They mostly characterise South Wales and Monmouthshire, and to a less extent Shropshire, Herefordshire, and, strangely enough, Norfolk. The isolated colony of the Norfolk Howells and Powells invites some further explanation”. The Hundred Rolls of 1273 AD, a census of Wales and England, known in Latin as Rotuli Hundredorum lists three bearers of this surname: Henry Powel (London), Geoffrey Powel (Cambridge), Mazelina Powel (Suffolk), and Hugh Poul (Buckinghamshire). A one John Powell or Powle was recorded in the Register of the University of Oxford in 1432 AD. John Appowell was documented in the Valor Ecclesiasticus in 1535 AD. Early marriages involving this surname were Jone Appowell to William Pypar at St. Dionis Backchurch in London in 1547. 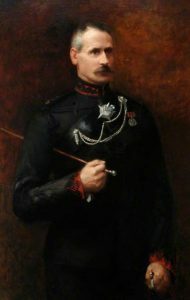 Hugh Powell Powel, Esquire of Castle of Madoc, county Brecknock, was Justice of the Peace and Deputy Lieutenant, as well as High Sheriff in 1870. He was born in 1822. In 1845, he married Mary Alicia, daughter of David Thomas of Welfield, county Radnor, and had two issue with her: Hugh Penry Powel and Annabette Catherine Sophia. He assumed the last name Powel in lieu of Price. The lineage of this family traces back to Hugh Howell Powell, Esq. of Castle Madoc, who was born in 1683, the lineal descendant and representative of the Powells of Castle Madoc, who derived descent, through Llwellyn and Einion Sais, from Bleddyn ap Maenyrch, Lord of Brecon. He married Margaret, daughter and heir of Walter Thomas of Talwenfawr, and had two sons and five daughters with her: Charles (his heir), Hugh (Colonel in the army), Elizabeth, Penelope (married Roger Price of Maes-yr-Onn), Dorothy, Margaret, and Catherine. He passed away in 1749 and was succeeded by his son, Charles Powell, Esq. of Castle Madox, the last direct mile heir of the Powells of Castle Madoc. Charles married Catherine, daughter of Hugh Penry of Cefn, and had two daughters with her: Catherine and Margaret. He died in 1796 and was succeeded by his daughter Catherine Powell, who died in 1798, whereupon the estates passed to her cousin, Reverend Hugh Price, Rector of Rottendon and Little Ilford, Essex, and then became of Castle Madoc. In 1773, he married Sarah, daughter of John Turner of King’s Stanley and had issue with her: Anne, Sarah, Penelope, Margaret, Elizabeth (married Robert Hughes of Cheltenham), and Hugh. This son, Hugh Price, was Esquire of Castle Madoc, Justice of Peace, and High Sheriff, who was born in 1786. 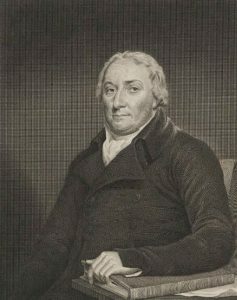 In 1818, he married Sophia Juliana Balama, daughter of Francis Brodie, and had four issue with her: Charles Powell, Hugh Powell, Grace, and Eleanor. The Powel Coat of Arms (mistakenly called the Powel Family Crest) is blazoned in heraldry as follows: Quarterly: 1st, sable, a chevron between spear heads or, embrued gules; 2nd, gules, a lion rampany regaurdant or; 3rd, argent, a dragon’s head erased holding in the mouth a hand gules; 4th, gules, a chevron ermine; 5th per pale gules and sable three fleurs-de-lis; 6th, sable a fess between three swords erect argent pommels and hilts or. Crests: 1st, a dragon’s head erased proper, bearing in the mouth a sinister hand couped gules dropping blood; 2nd, a board’s head erased. Alexander Pitts Elliott Powell was Esquire of Hurdcutt House, Wiltshire, England who was born in 1809. He was Justice and the Peace and Deputy Lieutenant. In 1839, he married Mary Elizabeth Vere Booth, daughter of William Tyndale, and had the following children with her: Alexander Francis (Magistrate for Wiltshire, Captain of the Royal Wilts Militia, married Marion Sybil), Henry Haynes Preston, Tyndal, William Henry Theodore Tyndale, John Alexander Tyndale, Selina Vere, Mary Vere, Caroline Maria Vere, Alana Mary Vere, Edith Vere, and Mary Elizabeth Vere. This family claims to be a branch of the ancient House of Powell of Penkelly, county Hereford. In 1669, John Powell, Esq. of New Sarum, married Katherine, daughter of Alexander Thistlethwayte, Esq. of Winterslow and had issue with her. The eldest son of this marriage was John Powell, Esq. of New Sarum, daughter of John Priaulx, Esq. and 1737, was interred in St. Thomas’s Church there. He had issue, including a son, Sir Alexander Powell, of New Sarum, Rercorder of that city, knighted in 1762. Alexander married Anne, daughter of Thomas Gatehouse of Lower Wallop, with whom he had no issue. 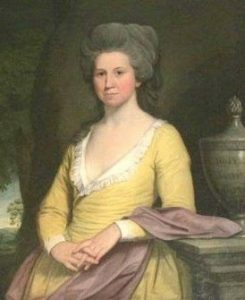 He later married Rebecca, daughter of Matthew Pitts, Esq. of Hurdcott House. His third wife was Catherine, daughter of Edward Willes, and had issue with her. 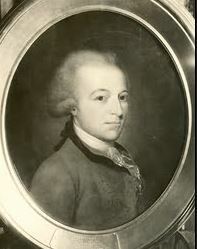 He died in 1784 and was succeeded by his only son, Alexander Powell, Esq. 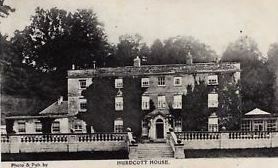 of Hurcott House, a Member of Parliament for Downton, and was High Sheriff of Wilts. He was born in 1782 and in 1807, he married Joanna, daughter of Reverend George Henry Law, and had children with her: Alexander Pitts Elliott, George Francis Sydenham (married Everilda Law), Henry Lionel, Anne Maria (married Richard Strachey), Joanna (married Reverend Thomas Garrett), Jane (married Reverend Reginald Pole), and Catherine Augusta (married Reverend Charles Baikes Davy of Tracy Park). The Powell Coat of Arms (mistakenly called the Powell Family Crest): Or, a chevron between three lions’ gambs erect and erased gules. Crest: A lion’s gamb as in the arms. Motto: Spes mea Christus erit. This branch of the Powell family tree resided at Hurdcott House, Salisbury, Wilts. he married Frances, daughter of John Bowen of Fanville, and had the following issue with her: Stratford (an officer, died in Bengal), Samuel (went to America), Eyre Burton, and Frances (married Thomas Going of Traverstown). His youngest son, Eyre Burton Powell, Esq. of Clonshavoy, was Barrister-at-Law, who was born in 1767, who in 1792, married Henrietta, daughter of John Magill of Tullcarne, and had four children with her: Caleb (his heir), Stratford (Lieutenant Colonel, married Charlotte Goodfellow), Eyre Burton (Comptroller General of Stamps in Dublin, married Elizabeth Labarte), and Henry. He died in 1800. 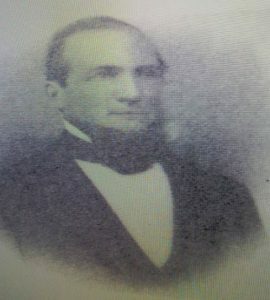 His son Caleb Powell, Esq. 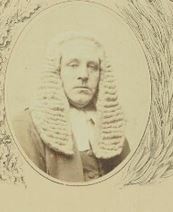 of Clonshavoy county Limerick, was Justice of the Peace, Barrister-at-Law, and Member of Parliament for county Limerick from 1841 to 1847. He was born in 1793 and in 1838, he married Georginia Frances, 3rd daughter of George Waller, of Prior Park, county Tipperary, and had five issue: Eyre Burton, Selina Henrietta, Eliza Augusta, Adelaide Georgina, and Frances Evelyn. The Powell Coat of Arms (sometimes mistakenly referred to as the Powell Family Crest) has the following heraldic blazon: Argent, on a chief or, a lion rampant gules. Crest: A demi lion rampant gules. Motto: Omnia vincit amor. The Powell genealogy traces back to Reverend Benjamin Powell of Bellingham Lodge, Wigan, a Justice of the Peace, who was the son of Benjamin Powell and Anne Pugh, born in 1792. In 1824, he married Ann, child and heir or Reverend Thomas Wade and the sister and co-heir of Francis Sharp Bridges. The Sharps were long settled at Horton, appearing in the Subsidy Roles. They held commissions in the Civil War, one branch, that from which Powell descends, on the Royal side, another, on the Parliamentary. John Sharp, D.D., Archbishop of York, and Abraham Sharp, a notable mathematician, were part of this family. The children from this marriage were as follows: Francis Sharp, Reverend Thomas Wade (Rector of Lyddiard Tregoze), Elizabeth, Mary Anne, Jane Bridges, Louisa (Reverend C.A. Hulbert, Vicar of Slaithwaite), and Amelia Sharp. 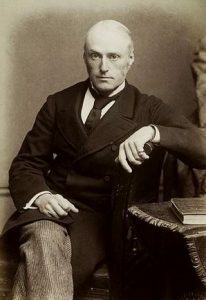 His son Francis Sharp Powell, Esquire of Horton Old Hall, West Riding, county York was Justice of the Peace, Deputy Lieutenant, a Fellow at St. John’s College Cambridge, Barrister-at-Law, and a Member of Parliament for Wigan who was born in 1827. In 1858, he married Anne, daughter of Matthew Gregson. This branch of the Powell family tree bore the following arms: Sable, three escocheons argent, each charged with a boar’s head erased of the field, all within a bordure or. Crest: A lion rampant sable gorged with a double chain or, therefrom pendant a pheon argent and resting the sinister forepaw upon a shield hold, charged with an eagle’s head erased azure. Motto: Omne bonum, Dei Donum. This family was seated at Horton Old Hall, Bradford, county York, England. Henry Buckworth Powell-Montgomery was an Esquire of Wilverley Park, Hants, Justice of the Peace, Deputy Lieutenant, and soldier of the Grenadier Guards who was born in 1820. 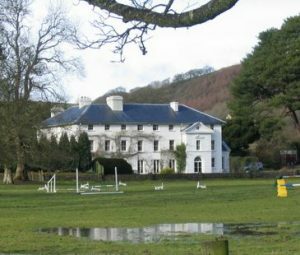 In 1869, he married Laura Emmeline, daughter of Colonel Northey of Llangwathan. He was the son of Henry Weyland Powell, Esq., who served at Waterloo and Eliza Buckworth. This branch of the Powell family tree is seated at Wilverley Park, Lyndhurst. Henry Folliott Power, Esq. 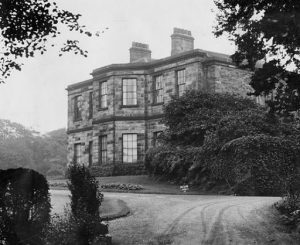 of Brandlesome Hall, county Lancaster, was born in 1803 and was a Captain in the Ceylon Rifle Regiment. In 1830, he married Catherine Vassall, daughter of George Burleigh, and had eleven children with her: Henry Cottrell (went to America), Thomas Folliott, Legh Richmond, Walter Burleigh, Charles Atherton Folliott, Frances Catherine, Ellen Eliza, Louisa Vassal Elizabeth, Julia Grace, Isabella Toler, and Lucy Laetitia. The Powell genealogy or Powell ancestry traces back to Walter Powell, who was seated during the reign of Queen Elizabeth of England at Bucknell, Salop. He married a daughter and co-heir of the Skull family of Much Cowarne and had two sons with her: Thomas and Richard. The former, Thomas Powell, Gentleman, was the elder of the sons married Mary, daughter of John Walcot, and had three issue with her before his death in 1611: John, Humphrey, and Anne. His son John was his heir, who earned a considerable fortune as a merchant in London, and he acquired the estate of Stanedge, or Stanage Park, county Radnor, during the reign of King Charles I. In 1623, he married Jane, daughter of Thomas Doewra of Puttridge, and had a son with her named Samuel. This Samuel Powell was Esquire of Stanedge and was born at Hamburg. He succeeded the patrimonial estate, and dided in 1686, leaving issue with his wife Elizabeth. His eldest son was Samuel Powell of Stanedge, who married Elizabeth Folliott of Ireland and had the following issue with her: Folliott (of Stanedge), Samuel (of Liverpool), and Elizabeth (married Richard Knight of Ludlow and Bringwood). His son Folliott was an Esquire of Stanedge born in 1691. He was the High Sheriff of county Radnor in 1725. He married a woman named Constance and he had three daughters with her: Constance (married Edmund Cox), Anne (married Richard Ward), and Sarah (married Thomas Cooke). His other son, Samuel, was an Esq. of Liverpool (sometimes) and afterwards Stanedge, was born in 1694. He married Elizabeth, daughter of Reverend Richard Richmond, Rector of Walton and Sephton, and had four sons and four daughters with her: Richard, Folliott, Samuel, John (served in the Royal Navy), Elizabeth (married Matthew Stronge ), Mary (married William Higginson of Whitechurch and Liverpool), Sarah (married Ralph Robinson of Liverpool), and Rebecca (married Alexander Duff of Mayer). His son Richard was the eldest son and heir, who married Elizabeth, daughter of John Cottrell, and had four children with her: Samuel, John, John Folliott (married Frances Arnett and had ten sons and three daughters), and Hattiott (married Holland Watson of Stockport). The eldest son was Samuel. 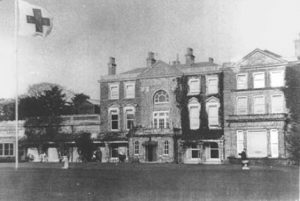 Samuel was an Esquire of Hammerton Hall near Boroughbridge, county York, England and Brandlesome Hall, county Lancaster who was born in 1760. In 1796, he married Frances, daughter of Henry Richmond of Bath, and had ten children with her: John Cottrell, Henry Folliott (his heir, discussed at the beginning of this paragraph), Reverend Samuel Hopper (of Sharow Lodge, Justice of the Peace, married Louisa Burnaby Greene), Richmond (Rector of South Stoke, Arundel), Robert Legh (went to Pembroke College Cambridge), William Wellington (Midshipman of the Royal Navy, Captain in the 9th regiment of Infantry, married Elizabeth Isabella Pecco), Thomas Folliott (of Bonchurch, Isle of Wight, Captain of the 16th Lancers who fought at the siege of Ghunzee, married Charlotte Henrietta Elizabeth Bolton and later Isabella Cooper), Catherine (married Captain William Burnaby Greene), Elizabeth (married Lieutenant John Wainwright), and Frances Anne. The Powell Coat of Arms for this branch of the family tree has the following heraldic blazon: Gules, a lion rampant or, within a bordure engrailed of the last, difference by a mullet within an annulet gold. Crest: A lion’s head erased argent gorged with a collar flory counterflory gules. Motto: Anima in amicis una. 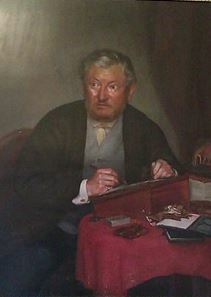 Walter Rice Howell Powell was Esquire of Maegwynne, county Carmarthen, Wales, was Justice of the Peace for Carmarthen and Pembroke, Deputy Lieutenant for Carmarthen, and High Sheriff in 1849. 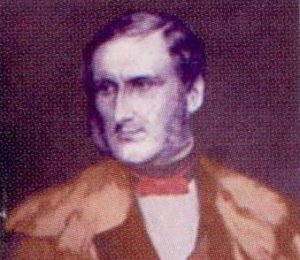 He was born in 1819 and in 1840 he married Emily Anne, daughter of Henry Skrine of Stubbings, Berks, and Warleigh Manor, Somerset, and had two issue with her: Walter Rice Howell (1844) and Caroline Mary (heiress to the estate). He later married Catherine Anne Prudence, daughter of Grismond Philipps of Cwmgwilly, and had a daughter with her named Emily Catherine, who married W.F. Roch of Butterhill and had a son named George, born in 1875. The Powell ancestry for this branch of the family tree traces back to Walter Rice Howell Powell, Esq. of Maesgwynne, who in 1817, married Mary, daughter of Joshua Powell, Esquire of Brislington, and with her, had the following issue: Water Rice Howell (mentioned at the beginning of this paragraph), Edward Henry (Vicar of St. Anne’s Congresbury, near Bristol, married Ellen Daniel), Thomas Rees Oliver (of Wyngron, married Kate Peach Lindsey), Maria Jane (married Edward Randolph), and Georgiana Mary (married Colonel Randolph). The family motto is Duw a Digon. William Thomas Rowland Powell, Esq. 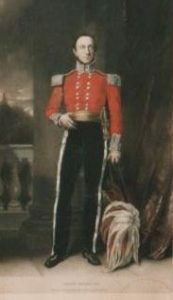 of Nant-Eos, county Cardigan, Justice of the Peace and Deputy Lieutenant, as well as Lieutenant Colonel Royal Cardigan Militia, as well as Member of Parliament for county Cardigan from 1859 to 1865. He was born in 1815 and in 1839, married Rosa Edwya, daughter and co-heiress of William George Cherry, of Buckland, county Hereford, and had two issue with her: George Ernest John (1842) and Harriott Edwyna. This is a branch of the line of Edwin-ap-Grono, Lord of Tegaingl, founder of the 13th noble tribe of North Wales and Powys. Howe lap Ievan ap Griffith Lloyd ap Llewelyn Lloyd ap Llewlyn Caplan ap Llewelyn ap Cadwagn ap Iorweth ap Uchdryn ap Edwin Prince of Tegaingl, married Elen, daughter and heir of Rhys ap David ap Merefith, of Llangweryddon, was the father of Philip ap Howel, who married Elliw, daughter and co-heir of David Lloyd, with whom he had a son named David. This David Philip Powell was of Llecywedd Dyrys, county Cardigan, whose wife was daughter of John ap Edward, and their son was John. John in turn married Jane, daughter of Thomas Pryce of Glanfread, and he had a son and successor, Sir Thomas Powell, of Llechwedd Dyrys, Knight, living in 1688. He married Elizabeth, daughter and heir of David Lloyd of Aberbrwynen, and they had a son named William. This William married Averina, daughter and co-heir of Cornelius le Brun, a native of Cologne, and had issue with her. 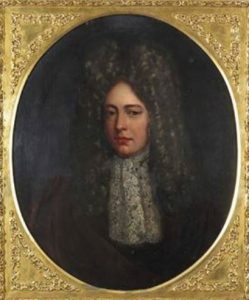 One such issue was the Reverend William Powell, LL.D., who married Elizabeth, daughter and co-heir of Athelstan Owen, Esquire of Rhiwsacson and Anne (heiress of the ancient Corbet family), and had a daughter named Williamia (married Colonel William Lewis) and a son and successor named Thomas. 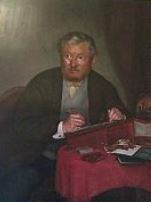 Thomas was Esquire of Nant-Eos who married Elinor, daughter of Edward Maurice Corbet, and had four children with her: William Edward (heir), Richard Owen (married Harriet Anne Wynne), Ellen Elizabeth (married Edward T. Phelp), and Anna Corbetta (married Roderick Eardley Rickardes of Penglais). He died in 1797 and was succeeded by his eldest son, William Edward Powell, Esq. of Nant-Eos, a Lord Lieutenant, Member of Parliament, and Colonel of the Militia of Cardigan, born in 1788. In 1810, he married Laura Edwyna, eldest daughter of James Sackville Tufton Phelp, of Coston House, county Leicester, with whom he had two sons: William Thomas Rowland (mentioned at the beginning of this paragraph), and Cornelius le Brun (married and had five issue). He later married Harriott Dell, daughter of Henry Hutton, of Cherry Willingham, county Lincoln. The Powell Coat of Arms (mistakenly called the Powell Family Crest) is blazoned in heraldry as follows: Argent, a cross flory engrailed sable between four Cornish choughs proper on a canton of the second a chevron between three spears’ head argent. Crest: A talbot’s head proper collared. Motto: Inter hastas et hostes. Henry Claringbold Powell, Esquire of Banlahan, county Cork, was Justice of the Peace, Lieutenant Colonel in the army, served in the 10th Regiment as a Staff Officer. In 1836, he married Mary Ann, daughter of Lieutenant-General Thomas Hutchesson, and had eight issue with her: Edward O’Donovan (Captain Royal Marine Light Infantry, married Mary Elizabeth Jenkin), Harry Hutchesson, Reverend Francis Pery Hutchesson, Thomas Hutchesson (served in the 10th Regiment), Scudamore Kydley (married Ada, daughter of George Seymour of Clifton Manor), Elizabeth Jane, Anna Maria (married Francis Langford O’Callaghan), and Eleanor Sarah (married Captain James Gibbons Smyth). This family derives from the Powells, or ap Howells of Penkelly, to which ancient family belonged Sir John Powell, Judge of King’s Bench. From his brother, named Gwylliam, the existing branch descended. Thomas Powell, son of Gwylliam, married Harriet Vaughan, and had a son named William. William married Joanna Scudamore, and had issue, including a son named Robert. 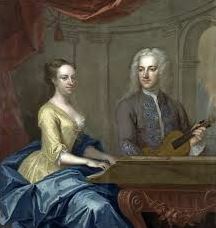 Robert Powell, married Anne Kydley, died in 1783, leaving two issue: Emma Ann (married a member of the O’Donovan) and Edward (Major in the army, married Eleanor Buchanan). Richard, the O’Donovan, Chief of Clancahill, 1829, having bequeathed Banlahan, and the ancient O’Donovan estates to his wife absolutely. She died in 1832, leaving the estates to her brother Henry (mentioned at the beginning of this paragraph). The Powell Coat of Arms (mistakenly called the Powell Family Crest) is blazoned in heraldry as follows: Or, two chevrons between three lions’ gamb erased gules in centre chief point a trefoil slipped vert. Crest: Out of a ducal coronet or, a demi-griffin vert charged on the shoulder with a trefoil gold. The family moto is Edrych I fynu (Look upward) and they were seated at Banlahan, The Leap, Cork, Ireland. Sir Richard George Douglas Powell, 3rd Baronet, was born in 1909 and succeeded his father in 1932. He was a Major of the Welsh Guards and served in World War II from 1939-1945 and was educated at Eton. In 1933, he married Elizabeth Josephine, daughter of Lieutenant Colonel Osmond Robert McMullen, and had three issue with her: Nicholas Folliott Douglas (1935), Bryony Josephine Anne (1933), Julia Mary (1943). This family descends paternally from Rhys-ap-Tewdwr Mawr, King of South Wales (1077 AD). Walter Powell was seated during the reign of King Henry VIII of England and he married Margery, daughter and co-heir of Richard Skull, and had two sons with her, the elder of which was Thomas. This Thomas was of Bucknell and in 1574, he married Maria, daughter of John Walcot, and had three issue with her. His eldest son was John Powell, High Sheriff of Radnor in 1641. John acquired the estate of Stanedge, or Stanage Park, in 1632. He married Jane, daughter of Thomas Docwra of Puttridge, and he had a son with her named Samuel, his heir. He later married Elizabeth, daughter of Richard Walmesley, and had two sons with her: William and James (Rector of Brangwyn), as well as a daughter named Rachel. The eldest son and heir, Samuel, was born in 1624 at Hamburg and succeeded the estate. He married Elizabeth and had children with her. Several generations forward came Scott Powell, born in 1809, who was a Captain in the 23rd Regiment Royal Welch Fusiliers who married Eliza, daughter of Richard Meeke, and had four children with her: Lillwall Scott (soldier in the 19th Regiment of Foot), Sir Richard (1st Baronet), Charles Folliott (Major 5th Gurkhas, killed in the Afghan war 1878), and Emily Mary Artnett. His son, Sir Richard Douglas Powell, became the 1st Baronet in 1897. He was born in 1842 and in 1873, he married Juliet, daughter of Sir John Bennett, and fathered five children with her: Sir Douglas (2nd Baronet, born 1874, served in South African War and World War I, married Albinia Muriel, daughter of William Folliott Powell), Charles Folliott Borradaile (Lieutenant), Scott (Captain in the 8th Bn. Royal Welsh Fusiliers), Dorothy Juliet (married Edward Arthur Leadam of Austin Friars in 1900), and Evelyn Sydney (married Sir R. Malcolm McIlwraith in 1900). The Powell arms is blazoned as follows: Gules, a lion rampant or, a bordure engrailed of the last in the dexter chief a mullet within an annulet argent for cadency. Crest: A lion’s head erased, argent, gorged with a collar flory, counter-flory gules. 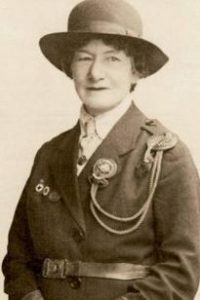 The Baron Baden-Powell, Sir Arthur Robert Peter Baden-Powell, was of Gilwell in county Essex, born in 1913. He succeeded his father as the 2nd Baron, in 1941. He was educated at Charterhouse and R.M.C. and served in the British South African Police from 1934-1937. In 1936, he married Carine, daughter of C.H. Crause-Boardman of Johannesburg, and had three children with her: Robert Crause (1936), David Michael (1940), and Wendy Dorothy Lilian (1944). The genealogy or ancestry traces back to Robert Powle, or Poweel, an Attorney of Mildenhall, Suffolk, England who was born in 1508 AD. He married Johane, daughter of John Dobson, and had issue with her, including a son named Barnable, who was born prior to 1543 and married Agnes, daughter of John Webb of Mussels, and had issue with her, including a son named David. David was born around 1580 and had a son, also named David. This David moved to Burwell, county Cambridge, who married Bridget, and left a son named John. The lineage goes on for several generations before arriving at Sir Arthur, discussed above. The Baronet was created in 1922 and the Baron in 1929. The coat of arms for this family was blazoned in heraldry as follows: Quarterly, 1st and 4th, Powell, per fesse or and argent, a lion rampant guardant gules, between two tilting spears erect proper; 2nd and 3rd, Baden, argent, a lion rampant proper, on the head a crown vallary or, between four crosses pate gules, as many fleurs-de-lis azure, alternately. Crests: Powell, a lion passant or, in the paw a broken tilting spear in bend proper, pendent therefrom a riband gules, an escutcheon resting on the wreath sable, charged with a pheon hold; baden, out of a crown vallary or, a demi-lion gules, on the head a like crown, charged on the shoulder with a cross pattee argent, and supporting with the paws a sword erect proper, pommel and hilt gold. Motto: Ar nyd yw pwyll pyd yw. John Powell, age 29, came to Virginia aboard the Swallowe in 1609. 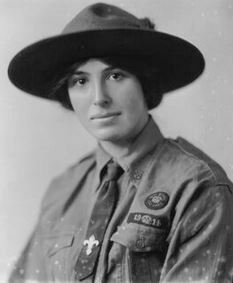 Kathren Powell, age 22, came to Virginia aboard the Flying Hart. Thomas Powell came to Virginia aboard the Sampson in 1618. Thomas Powell was recorded as living in Virginia in February 1623, as was Gody Powell. John Powell was recorded in Elizabeth Cittie in February 1623, as was Cathren Powell. Mary Powell, age 23, came to Barbados aboard the Ann & Elizabeth in 1635. William Powell, age 19, came to Barbados aboard the Alexander in May 1635. Richard Powell, age 32, came to Barbados aboard the Alexander in May 1635. Thomas Powell, age 21, came to St. Christopher’s aboard the Mathew of London in May 1635. Thomas Powell, age 24, came to St. Christopher’s aboard the Mathew of London in May 1635. James Powell, age 12, came to Virginia aboard the Thomas & John in June 1635. William Powell, age 15, came to Bermuda aboard the Truelove in June 1635. Samuel Powell, age 19, came to Virginia aboard the Assurance in July 1635. Elizabeth Powell, age 17, came to Virginia aboard the Assurance in July 1635. Jacob Powell was among a list of convicted rebels (Monmouth’s Rebellion of 1685) who was transported to the New World, as was one Michell Powell of Neath Glomorging. Arthur Powell came to the Barbados in August of 1679 aboard the Friendship. 7) Thomas Powell of New Haven, had issue Hannah (1641), Priscilla (1642), Mary (1645), Martha (1649), Martha (1651), and Esther (1653). His wife was named Priscilla. 9) Thomas Powell, Windsor, married Alice Traharen in 1676, had children named Alice, Ann, Thomas, and Hannah. 10) William Powell of Charlestown, 1636, married Elizabeth and had issue Mary, Martha, Joshua, Elizabeth, and Joshua. 11) William of Taunton, Powell. 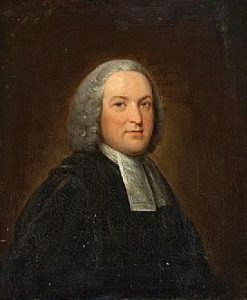 Early settlers in colonial America during the eighteenth century bearing this surname include Edward Powell (1701), Francis Powell (1701), Jean Powell (Virginia 1714), and Anthony Powell (1760). In Canada, one of the earliest bearers was Nicholas Powell who settled in Carbonear, Nefoundland and Labrador in 1641. 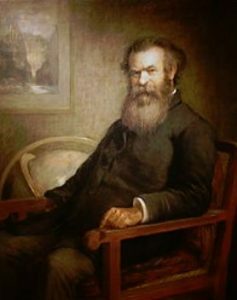 In Australia, one of the first bearers of this last name was Thomas Powell, a convict from Middlesex, England who came aboard the Arab in 1822, settling in Tasmania (then called Van Diemen’s Land). In New Zealand, John Powell, age 32, came to Nelson in 1842 aboard the London. 1) Powel, Per fess arg and or, over all a lion ramp gu Crest: an estoile of 8 points. Motto: Proprium decus et petrum Bookplate Samuel Powel, mayor Phila. Also of John H. Powel. 2) Powell, Or a chev gu bet 3 lions’ gambs erect [or] Crest: a lion’s gamb of the field. Motto: Laetus in praesens animus, Bookplate Matthew Powell. Crozier’s General Armory, published in 1904, contains one entry for this surname: W. Bleddyn Powell of Philadelphia, Pennsylvania, came from Brecknock. He descended from Bleddyn-ap-Maenyrch, Lord of Brecon during the reign of King William II. Arms: Sable, a chevron between three spearheads or, embrued gules. Motto: Hwt Pery Clod Nocolod. Matthew’s American Armoury and Bluebook, published in 1907, does not contain an entry for this surname. 14) Proprium decus et petrum (Peter’s own glory? There are hundreds of notable people with the Powell surname. This page will mention a handful. 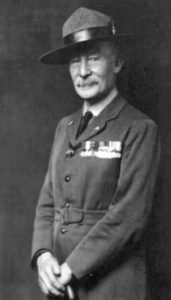 Famous people with this last name include: 1) Baden Powell (1796-1860) who was an English mathematician and priest in the Church of England who taught at Oxford and was a liberal theologian who advanced ideas about evolution, 2) William Norris Powell (1952-2009) who was born in Corpus Christi, Texas, who was the keyboardist for the Souther rock band Lynyrd Skynyrd, 3) Cecil Frank Powell (1903-1969) who was an English physicist and Nobel Prizer laureate born in Tonbridge, Kent who developed the photographic method of studying nuclear processes, 4) Sir Francis Sharp Powell (1827-1911), 1st Baronet, who was an English conservative politician who served in the House of Commons between 1863 and 1910 for Cambridge, Yorkshire, and Wigan, 5) Foster Powell (1734-1793) who was a long distance walker, born in Horsforth, known as “the first English athlete” known for walking 400 miles from London to York and running two miles in ten minutes, 6) Frank E. Powell who was a stage director, film actor, and film director in the silent era who was born in Hamilton, Ontario, Canada, 7) Michael Eugene Powell III (1961) who is a lawyer from Shrevport who was a Republican member of the Louisiana House of Representatives from 2004-2007, 8) Dennis Clay Powell (1963) who was professional baseball player (pitch) born in Moultire, Georgia, who played for four different teams in the MBL including the Los Angles Dodgers and Seattle Mariners, 9) Ron Powell (1929-1992) who was a professional footballer (soccer) player born in Knighton, Wales who was a goalkeeper who players for Knighton, Manchester City, and Chesterfield, and 10) Joseph Lester Powell Jr. (1943-2009) who was the 16th White House Press Secretary for the Carter Administration, born in Cordele George, and 11) Colin Luther Powell (1937) who is an American retired four-star general of the United States Army and an American statesman, son of Jamaican immigrants born in Harlem, New York, who served in Vietnam and became National Security Advisor during the Regan Administration, and later 12th Chairman of the Joint Chiefs of Staff, and later 65th Secretary of Estate under the George W. Bush Administration. Two of the main heraldic symbols in the Powell Coat of Arms (often mistakenly called the Powell Family Crest) are the rose and lion rampant.